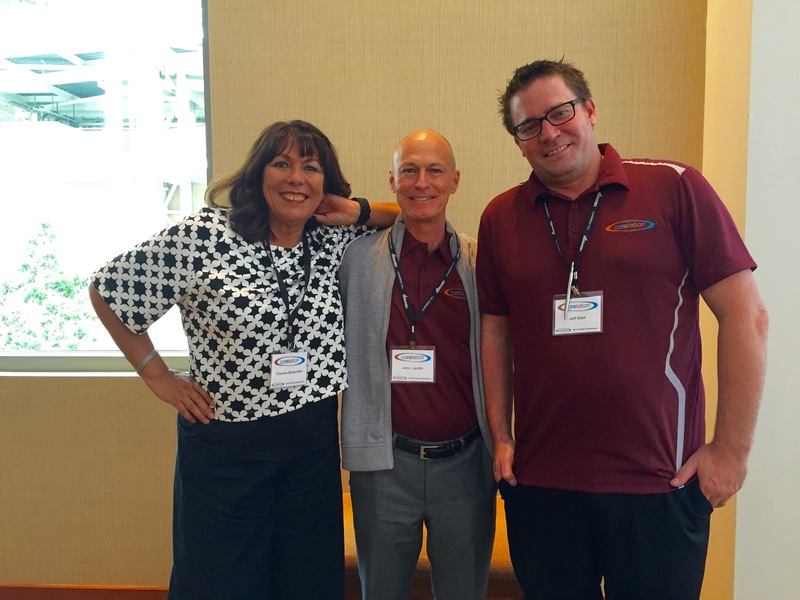 SAN DIEGO, CA (June 1, 2015) — Nearly 40 credit unions, 40 vendors, and 300 attendees converged on America’s Finest City (a.k.a. San Diego) to experience the latest and greatest in core processing, as credit union core processor Corelation Inc. hosted its 4th annual Client Conference May 19-21, 2015. The event almost doubled in size compared to last year’s conference and looks to do so again in 2016. · Glatt Consulting’s Tom Glatt speaking on the health of the credit union community. · Baldini Lang LLC’s Richard Lang providing an industry compliance update. · Stickley on Security’s Jim Stickley presenting the latest in financial services security issues (Note: please double check your ATM security efforts). · CUCollaborate’s Sam Brownell speaking on the competitive advantage credit unions have on leveraging their collaboration capabilities – along with his latest Credit Union Match venture.